From grid hacking to financial meltdown, new fears about a systemic disaster are generating ideas about fortifying for the worst. Demand for gym memberships, canned soup, and gold will all rise. Here’s how to indulge in the nervousness. 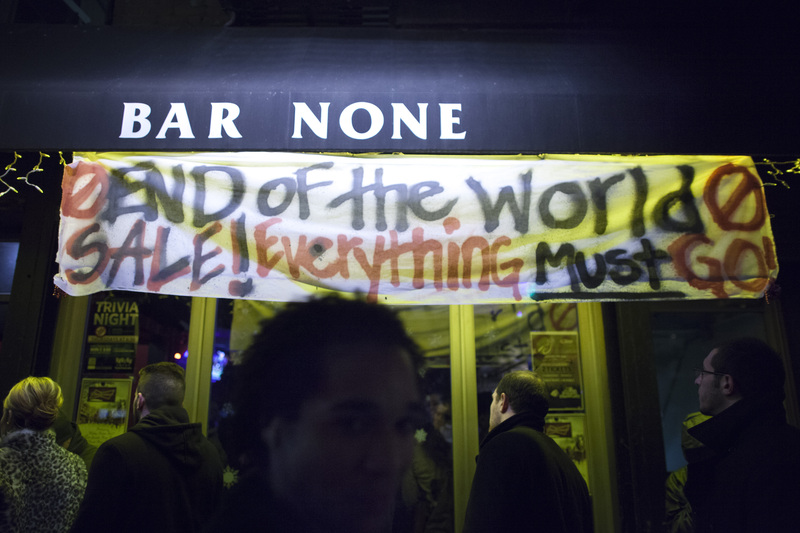 People line up outside a bar celebrating the "End of the World" in New York December 21, 2012.